In the 17th century, British sailors discovered Imari, a port in Japan that created very fine porcelain. Imari used rich colourings including gold to enhance the most exotic subjects depicting the Japanese culture. 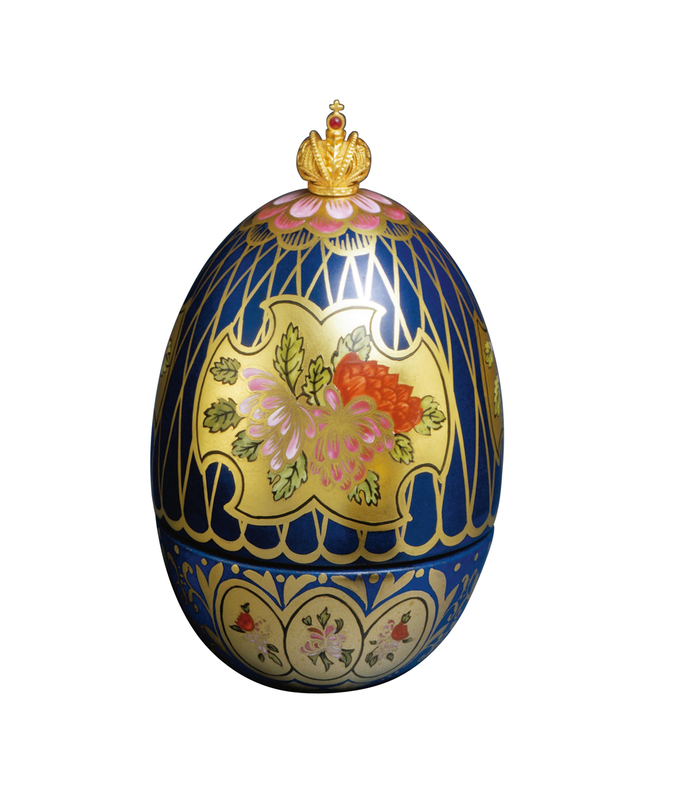 The Imari Egg is Theo's own interpretation of this early Japanese porcelain. 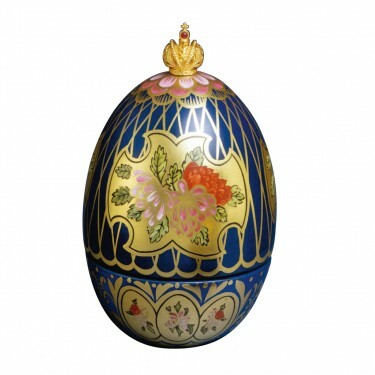 Each Egg is entirely hand painted onto rich cobalt blue porcelain. 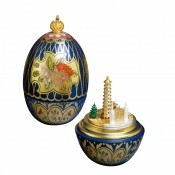 The Egg opens to reveal a magnificent sterling silver Pagoda and Japanese Temple embellished with gold. 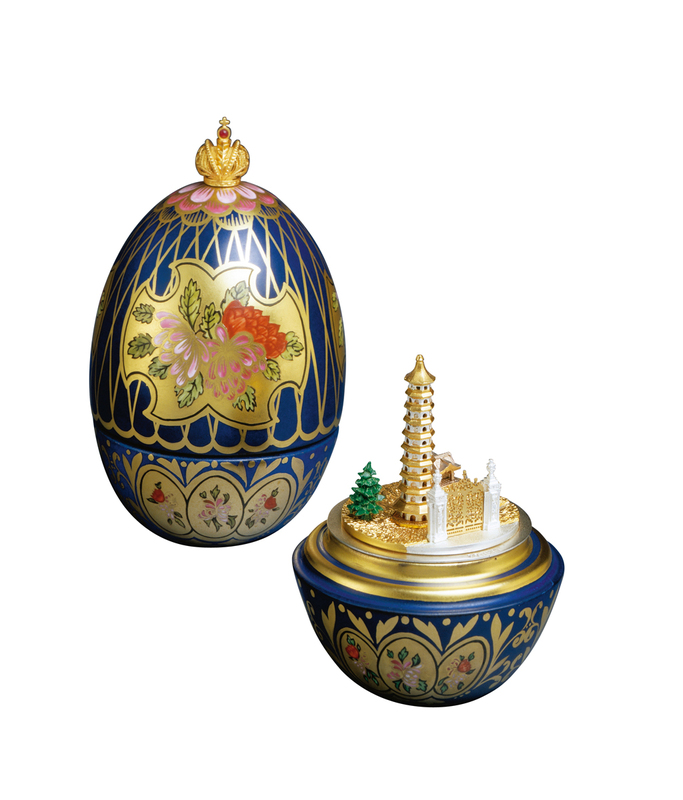 The inspiration came from Theo Fabergé's fond memories, especially those of his childhood. The Egg is offset with the Imperial Russian Crown in vermeil set with a cabochon ruby.